1st Bn, Prince Albert's Own (Somerset Light Infantry), 11th Brigade, 4th Division, B.E.F. Reginald Paul Thompson was born on the 12th August 1887, the only son of the late Mr and Mrs Paul Thompson of Llanishen, near Cardiff. A trainee solicitor, he was educated at Malvern College, a trainee solicitor in Cardiff. At the outbreak of war he was was living at Edith Lodge, Graham Road, Great Malvern. 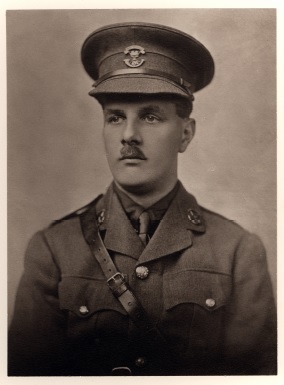 He joined the Public School and Universities Corps on the outbreak of war and was commissioned in May 1915 into the Special Reserve of Officers attached to the Somerset Light Infantry. The Malvern News reported that he had many friends in Worcestershire.